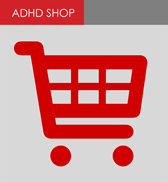 ADDults with ADHD sends out several Information Packs every week to people who contact the Helpline looking for information or referral to a professional. You may have seen some of the material on an information table at one of our Annual Conferences or at an Awareness Afternoon. The fact sheets are often reviewed to ensure that they remain up-to-date, relevant and authoritative. This year a major revision project has produced two modern fact sheets. Two further titles in the same format will be completed over the next couple of months.